The Wind Orchestra only rehearses once a week and performs three major concerts a year. 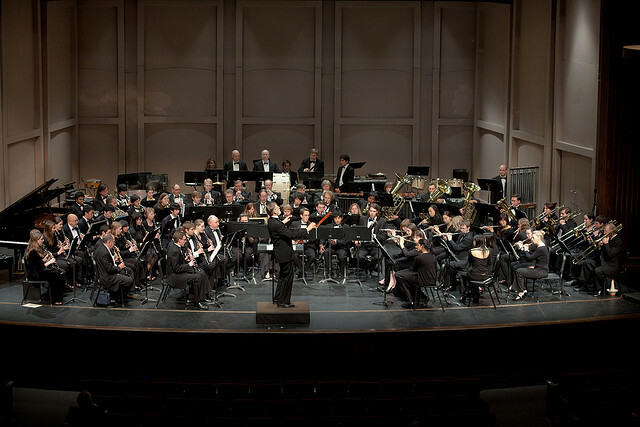 Artists who have performed with the Wind Orchestra include clarinetists David Schiffren, Julia Heinen, Eddie Daniels, trumpeters Tony Plog and Allen Vizzutti, tuba virtuoso Jim Self, and oboist Allan Vogel. Major works in past years include performances of compositions by Frank Ticheli, Gustav Holst, Stanley Friedman, David Gillingham, Eric Whitacre, Rolf Ruden, Raymond Burkhart, Les Deutsch, and Charles Ives. The Concert Band has recorded two CDs that are available for sale at the Caltech Bookstore. View a CBS clip of our performance at Carnegie Hall. View a video compilation of the band's exploits in China. Enjoy a clip from a student's perspective here.